– Invisalign aligners are best known for their ability to remain nearly undetectable when worn. This is made possible thanks to the patented thermoplastic materials used in their construction, which helps keep the aligners clear and nearly impossible to notice. – Invisalign aligners are removable by the patient, for emergency situations and also for mealtime. Thanks to this feature, there are no food restrictions needed with Invisalign. Instead, simply snap out your aligners before eating and remember to place them back in after you are finished. 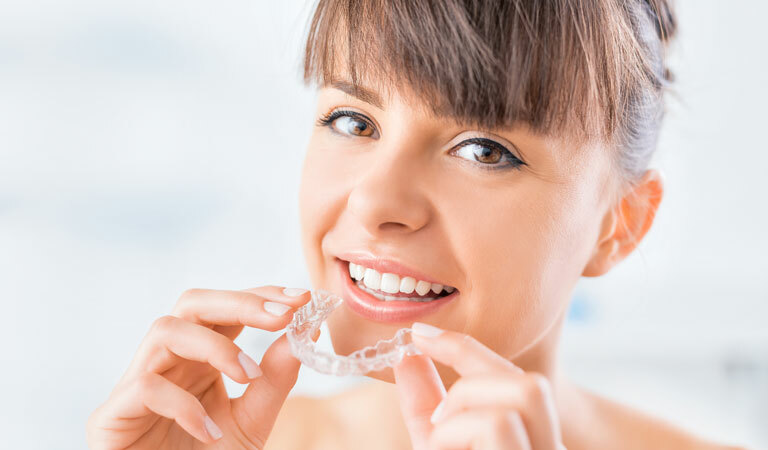 – Invisalign can help correct bad bites and spacing in your mouth. With a straighter smile, your self-esteem will grow and your risk for oral ailments such as tooth decay and gum disease will shrink. For a diagnosis and treatment, please contact Orthodontic Specialists of Lake County to book an appointment with Dr. Sellke & Reily and our team at our orthodontic office in Grayslake, Antioch and Gurnee, Illinois. Call us at 847-223-2876. Let us help you achieve a straighter smile!